BEIJING, Feb. 6, 2018 /PRNewswire/ — Baofeng Nova Co., Ltd., the world’s first professional blockchain-based infrastructure service provider, will launch The Rose worldwide on the eve of Valentine’s Day as the perfect gift that anyone can give to their significant other or object of their affection. 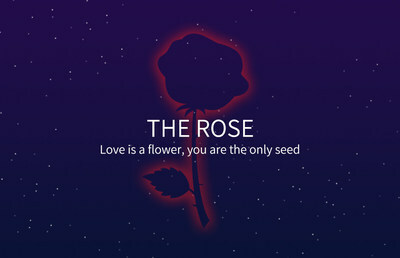 The Rose is the first AR + blockchain live-action game. For information, please visit the website: www.therose.cloud, or the official Facebook/Twitter/YouTube accounts: “therose.cloud”.